Abbé de l'Eppé teaching Deaf children in front of Louis XVI. Because humans use our eyes more than any other sense and because of our instinctive fear of the dark, most people think deafness must be an easier disability to have than blindness. In adulthood this is debatable, but it might well be true. To be born deaf though, is far more dangerous than being born blind. Why is this? Because being blind does not interfere with language acquisition which must occur when we are toddlers or we risk severe mental impairment. Are the Deaf doomed to this fate? Not necessarily. Approximately 10% of the Deaf share the condition with their parents, these children tend not to have learning difficulties because their parents teach them Sign. Deaf children taught with Sign do as well as any other child, while those taught with lip reading fall further behind their hearing peers with each year of school. Why? Because lip reading is not designed for the Deaf, it is for the convenience of us hearing people who do not know Sign. Deaf children have to spend more than a third of their lesson time learning to lip read and speak, that is why they end up doing so badly academically. 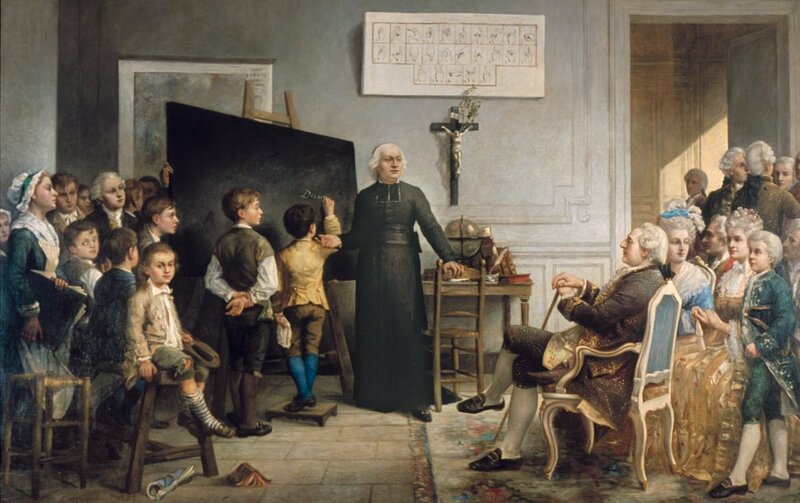 One of the pioneers of deaf-friendly education was the Abbé de l’Epée who was desperate to save the Deaf from lives without religious education. He studied the signs devised by the Deaf community in Paris. 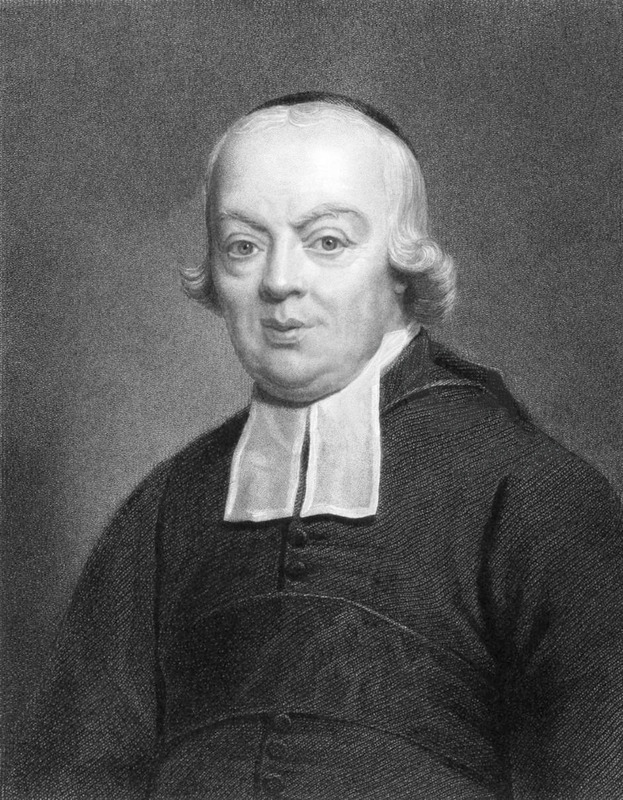 He was one of the first to teach the Deaf how to read and write, founding 21 schools from 1755 till his death in 1789. In 1817 the movement spread to America with the founding of the Asylum for the Deaf in Hartford. By 1869, there were 550 Sign teachers worldwide. Most of this progress was destroyed in 1880 at the International Congress of Educators of the Deaf in Milan. The man most responsible was Alexander Graham Bell, who had a Deaf mother and wife (both of whom refused to admit their condition). He was a passionate advocate for teaching lip reading and speech. He believed that the top priority was to teach the Deaf to speak and not to use Sign, which he believed confined them to communicating with other signers. The astonishing thing is that Deaf teachers weren’t even allowed to attend the congress. Only two delegates were Deaf. The children paraded as examples of how successful oralist (lip-reading based) education had only been Deaf since they were seven. Sign language was banned from Deaf schools, half of whose teachers were Deaf themselves in 1850. By 1960 only 12% were. The 26 American manualist (Sign-based) schools had all closed by 1907. By 1974, 80% of America’s Deaf people were in manual jobs (mostly in noisy factories where speech was impossible to hear) and 30% were illiterate. This trend was finally reversed in the 1960s, though pupils are often taught signed English which lacks the visual grammar of Sign. British Sign Language was not even recognised as a language till 2003. It was technology that would liberate the Deaf community.